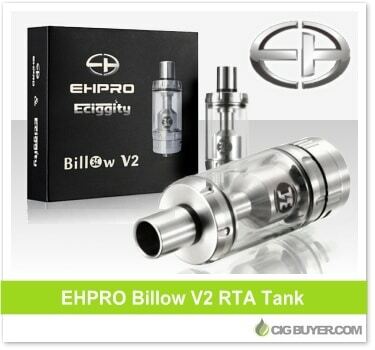 The Ehpro Billow Tank (V2) is an updated version of the original; a rebuildable tank atomizer with a new barrel and grooved exterior design with two piece chimney. It has the same 5ml capacity, but the glass section has been widened to make it shorter. It has bigger adjustable airflow holes, new airflow ring (no screws! ), PEEK insulator, wide bore delrin drip tip, and best of all… you can rebuild or adjust your coils without dumping the tank. * Expiration of coupon code unknown. Offer good while supplies last.